We journey with our partners from different sectors of the Philippines to create and sustain positive impact breakthroughs that transform their institutions by crafting their vision of our dream Philippines with our flagship program – the Performance Governance System. With the PGS, we empower our public sector institutions to design, execute, monitor, and sustain strategies for governance reform. 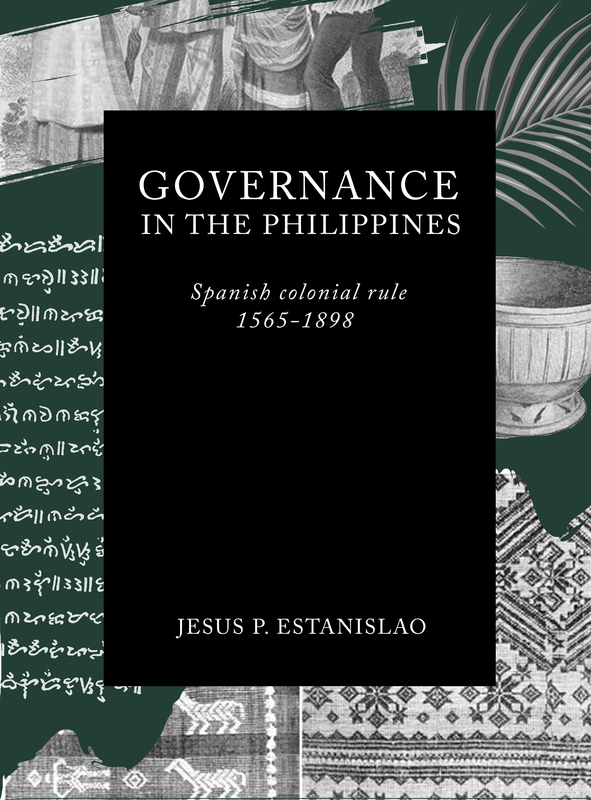 Chronicles the philosophies, innovations, and efforts that went into preparing the Philippines’ first national government agencies (NGA) and government-owned and controlled corporations (GOCC) to apply for recognition as Islands of Good Governance (IGG). It celebrates breakthrough results and community impact achieved through the sustained practice of transformative governance and imparted through stories told during audit. 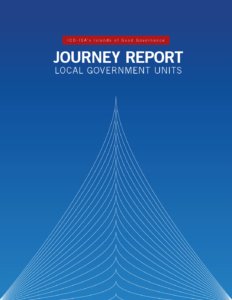 Featuring in-depth stories of transformation in the local government level, this Journey Report sheds light on the role that the Performance Governance System and its Elements play in molding local government units such as the Cities of Balanga, Legazpi, and Mandaue into the progressive institutions that they are today. School report cards contain metrics with corresponding scores that are based on how students perform in specific learning domains within a given period. 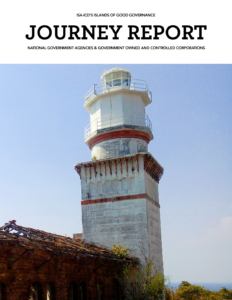 Public sector organizations using the PGS as a governance reform program also follow the report card system, this time making use of “governance scorecards” that record progress and transformation according to a specific timeframe. 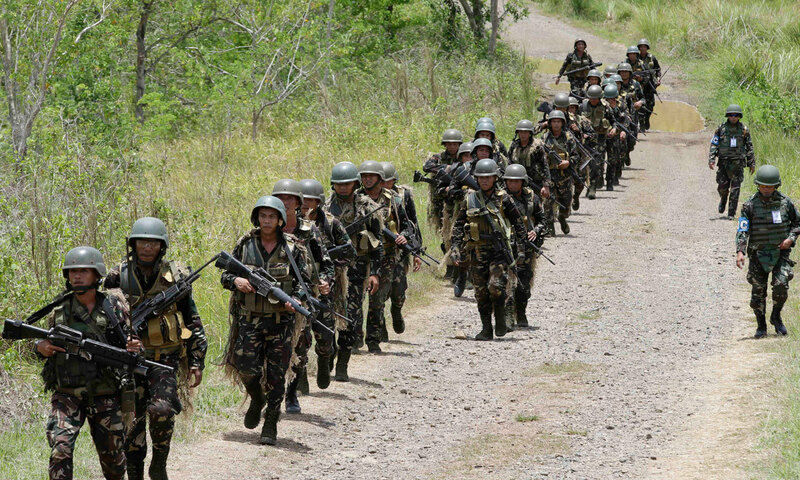 One of these public sector organizations, the Philippine Army, recently completed all four stages of the PGS, prompting a review of which motivations, innovations, and best practices enabled the organization to make the grade. 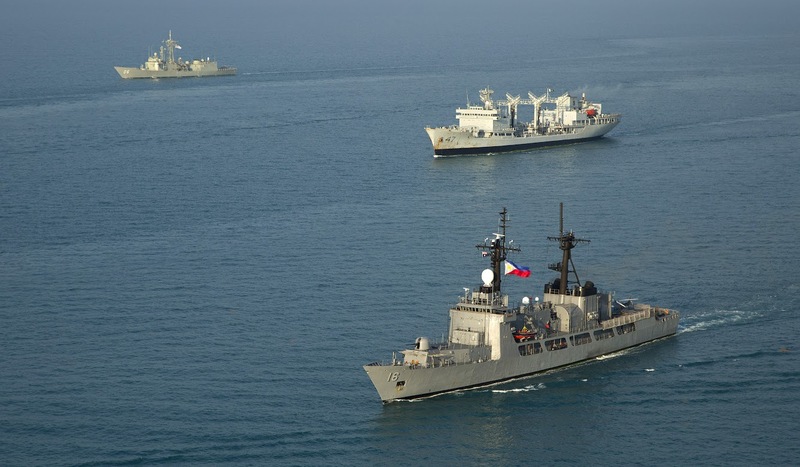 As an archipelago, the defense of the Philippines’ borders depends heavily on the capabilities of its naval forces. In its hey-day, the Philippine Navy was considered one of the most advanced in South East Asia, but the vacuum created by US troop withdrawal further accelerated its decline. Left with outdated warships from World War II and archaic documents that were not responsive to the contemporary political context, the Philippine Navy was clearly struggling to fulfill its duties as the watchdog of the seas. Today, using the Institute for Solidarity in Asia’s (ISA) Performance Governance System. Despite its significance in national revolutionary history and culture, Talisay only became a Philippine city in 1998. 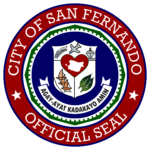 Since then it has been fighting to grow a separate identity from its metropolitan neighbor Bacolod, to whom many of its landmarks are still mistakenly attributed. Today local leaders make use of the Institute for Solidarity in Asia’s (ISA) Performance Governance System (PGS) as a platform for transformation, harnessing the city’s tourism-, agriculture-, and location- based strengths to reshape development and ensure sustainability through community involvement. When people talk about the Philippine government the conversation often turns negative and discussions veer toward corruption, inefficiency, and lack of professionalism. Though these opinions are more commonly heard from the public, it is a sentiment that is also shared by some within the bureaucracy. It is clear that there is an urgent need to reform the image of government, but more importantly, to bring back the pride and self-respect of public servants. 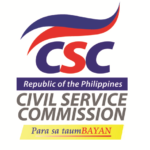 As the lead agency in handling human resource (HR) and organizational development (OD) matters, the Civil Service Commission (CSC), using the Institute for Solidarity in Asia’s (ISA) Performance Governance System (PGS), has pledged to transform government workers into servant-heroes who are driven by the virtues of excellence and integrity. In its efforts to deliver better public service, the Philippine National Police (PNP) developed a plan to achieve its vision of becoming “a highly capable, effective and credible police service by 2030” and came up with a number of strategic initiatives in support of this end goal. Under the leadership of Police Director Benjamin B. Magalong, the Police Regional Office in Cordillera (PRO-COR) designed and piloted new electronic systems to improve the efficiency of PNP officers. By pursuing this initiative, the PNP was able to explore new frontiers in the age of information technology and practice innovation guided by the Institute for Solidarity in Asia’s PGS. Over the next ten years, the world will need an additional one million metric tons of cocoa. Some of it will be harvested from the forests of Butuan in the Southern Philippines, where the city government is turning to agroforestry to save a fragile ecosystem and put a stop to mounting poverty. 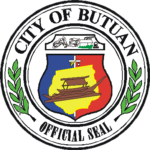 Assisted by ISA, Butuan is now rewriting a five-year plan toward recovery and development that counts on the support of locals and investors in executing a massive reforestation and product development campaign that can advance economic growth. After nearly 15 years of pushing for reforms in various national- and local-level government institutions, the Institute for Solidarity in Asia (ISA) has witnessed firsthand the transformative power of governance as a positive complement to the massive sharing success stories from our experience to help advance the speed and scale of reforms in the Philippine public sector, as well as to plant the seeds of change in neighboring countries where growth is still stifled by corrupt and inefficient government practices. 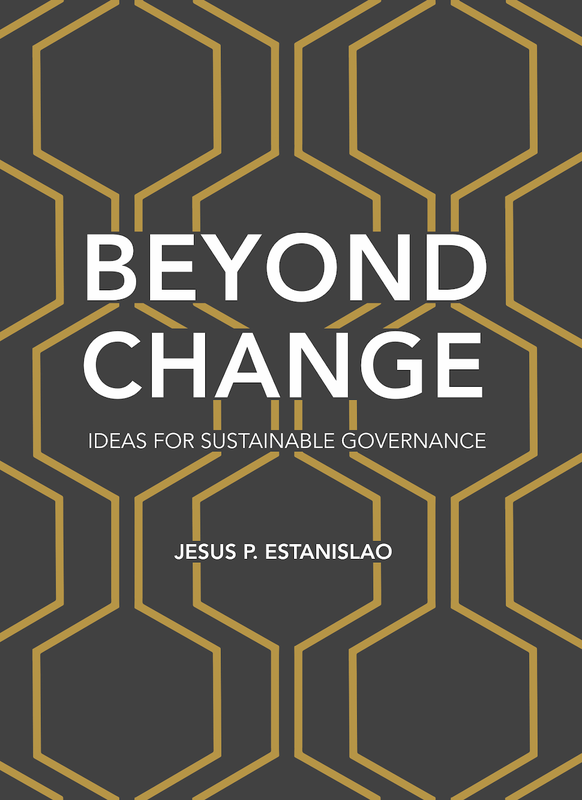 Featuring the stories of 17 contributors from business, government, civil society, academe, ‘Beyond Change’ tackles the challenge of sustainable governance and offers practical steps that can be carried out by individuals, teams, and enterprises. It encourages citizens, especially those working in government, to ‘think national’ and to consider that governance is not the responsibility of one person but of every Filipino. 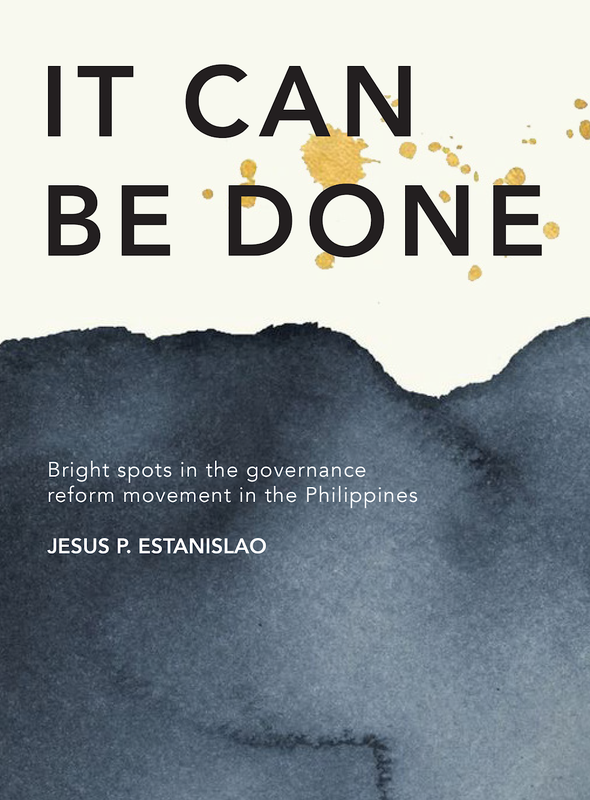 Written at the IESE Business School, the book is the pilot volume in an ambitious series that looks at the Philippines through the minds of its conquerors to discover the roots of Philippine economy and governance. It aims to encourage a new generation of scholars to look at strategy in a historical context, and to apply pivotal learnings from the country’s long years under colonial rule to national governance in the modern day. We dream of the future that we—as responsible citizens—can shape together, so that many of our dreams and aspirations as a people can be realized within the lifetimes of those finishing their studies today. Together, the country’s most reputable good governance advocates—economist Jesus Estanislao, civil society leader Alexander Lacson, historian Paul Dumol, business leader Francis Estrada, educator Celerino Tiongco, and lawyer Teodoro Kalaw IV—who offer six essays that propose the values we as Filipinos need to practice the most in order to realize our shared vision of a Dream Philippines.